Camp One Step Heads to the Nation’s Capital! On April 7th, over 30 of our campers are heading to Washington D.C. for a week of exploration, education and advocacy. 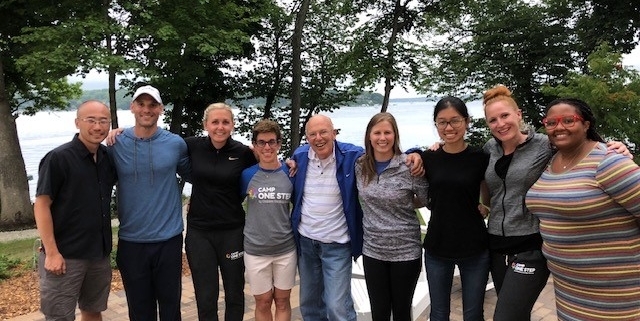 Of course, they will also be surrounded by new and old friends they have made at Camp One Step, affectionately referred to as their Camp Family. http://camponestep.org/wp-content/uploads/2019/04/IMG_6356.jpg 1137 1440 onestepadmin http://camponestep.org/wp-content/uploads/2017/10/camp-one-step-logo-1.png onestepadmin2019-04-08 16:21:202019-04-10 14:45:29Camp One Step Heads to the Nation’s Capital! National Doctor’s Day provides that opportunity for us to recognize the extremely important work that doctors do – it is a day to recognize the selfless contributions of so many who contribute to improving the health and well-being of our nation – individuals who work so diligently to prevent illness and strive for health, fighting for cures through research, promoting quality care in their daily practice, preventing pain and suffering, and working in partnership with all of us to ensure that we live the highest quality of life possible.